All 120 sailors on board were told to stay below deck while the 65stone bear had a sniff around their vessel, reports the Sunday Express. I think it's the same bear. I didn't know there were polar bears in Hungary. The Danube Flotilla is bringing its impressive firepower to bear. He looks pretty healthy. I thought all the Polar Bears in the world were supposedly starving like a Venezuelan? I remember seeing similar or even identical pictures a year or so ago and wonder if they are the same? 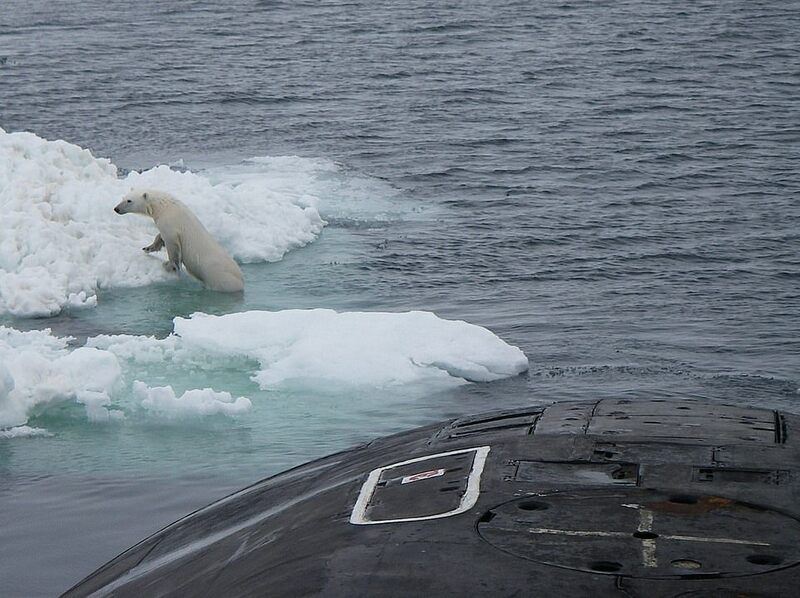 Polar bear is thinking: "That's the biggest seal I have ever seen! Leeeroooy!!!!!!"